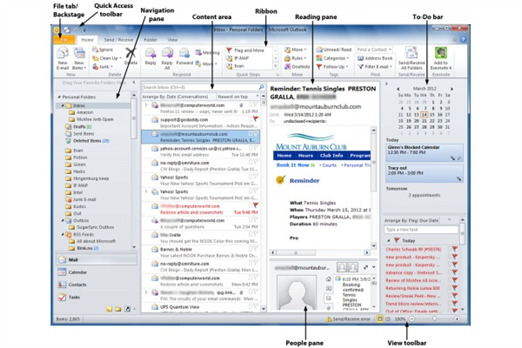 Outlook 2010 main screen in MailWhile Outlook 2007 used the Ribbon interface in a few places, Outlook 2010 features the Ribbon throughout. Other noteworthy new interface features include Backstage and the People pane. The Ribbon — detailsThe Ribbon is divided into tabs, each of which is organized into a series of groups that contain related commands. Inside each group is a set of command buttons, which carry out commands, display menus and so on.Some groups have a small diagonal arrow called a dialog box launcher in the bottom right corner. Click it to display more options related to the group. 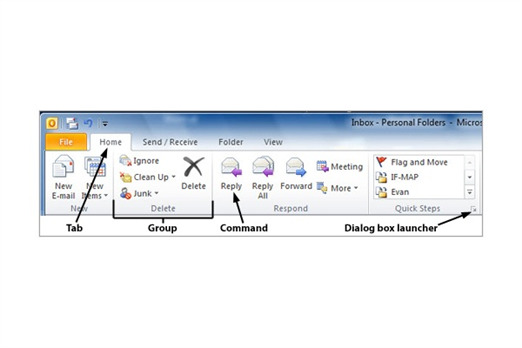 The RibbonThe Ribbon interface is the main way you’ll interact with Outlook 2010. Divided into a series of tabs, it puts features you might forget about within easy reach while cleaning up the screen overall. It does take some getting used to, though. BackstageBackstage, accessible by clicking the File tab, is a one-stop shop for performing a wide variety of tasks. Click Info, for instance, to manage all of your email accounts. 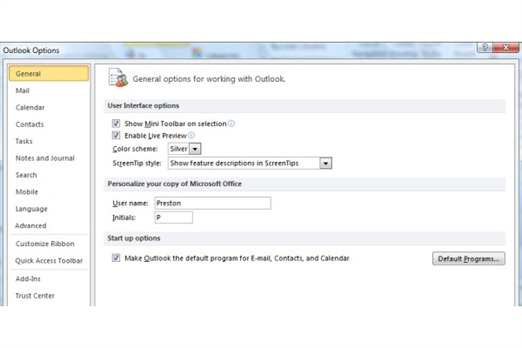 OptionsThe Options screen, accessed via Backstage, is where you can customize the way Outlook 2010 looks and feels. 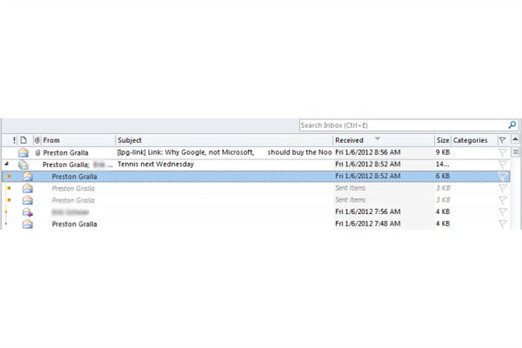 The People paneThe People pane serves as a central point for all of your communications with anyone in Outlook, including emails, meetings, attachments and more. The Outlook Social Connector enhances the People pane by pulling in your connections’ LinkedIn and Facebook information so that you can easily keep track of their activities without having to go to those sites. 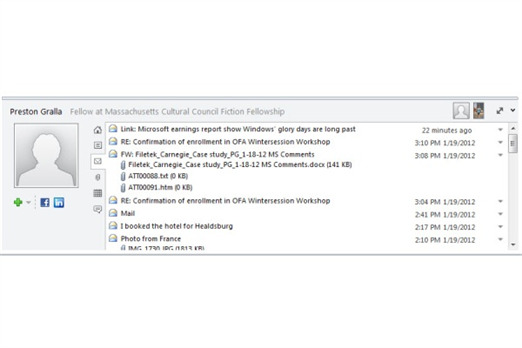 Conversation ViewOutlook 2010’s improved Conversation View makes it easier to follow threaded email conversations than in earlier versions of Outlook. Click the triangle next to a message to see a reverse-chronological list of every message in the conversation (including those you’ve sent); click any message to jump to it. 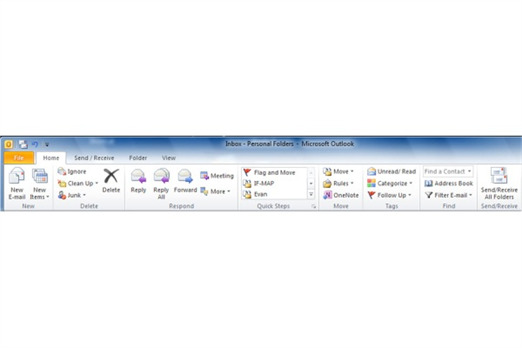 Customizing the Quick Access toolbarThe Quick Access toolbar puts your most commonly used commands at the top of the screen wherever you are in Outlook.To customize it, click the down arrow at its right edge and choose More Commands. 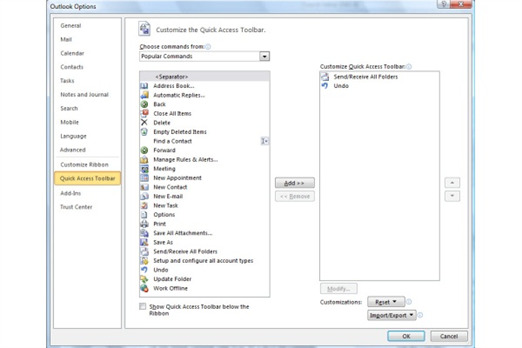 The Outlook Options screen appears. Choose a command from the left side of the screen and click Add to add it to the Quick Access toolbar. Use the up and down arrows on the right to change the order of the buttons in the toolbar. 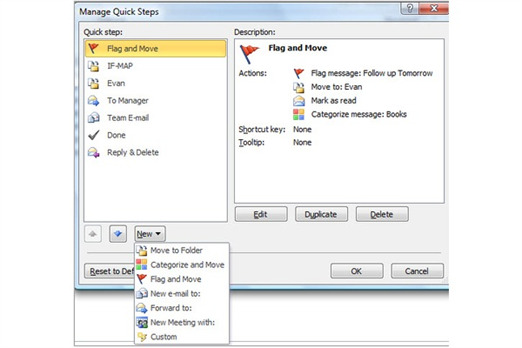 Creating a Quick StepQuick Steps let you perform multiple actions on an email message with a single click, such as flagging the message for follow-up and moving it to a specific folder. 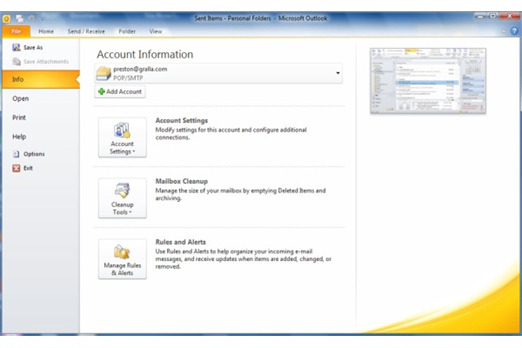 Outlook 2010 comes with several prebuilt Quick Steps, but it’s easy to create your own.